One style of numismatic that seems to be particularly prevalent in Europe are bullion coins that have been subject to aftermarket modifications. 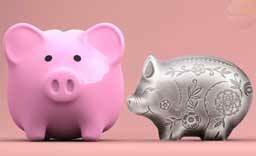 This could take the form of selective gilding or colouring to the relief, or especially the background of a coins face. Rarely there might be holograms or inserts, perhaps even combinations of the different processes. What is true is that the majority of them are simply hideous. Ill conceived and poorly realised, there are some true horrors out there, admittedly along with some that are decent enough if that’s your thing. 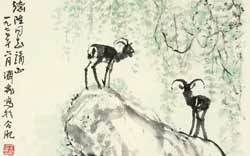 Standing out from the mass of offerings comes Allcollects new series called Golden Enigma. Eschewing the gaudy and busy colouration of most of the competition, minimalism is the name of the game here and it’s pulled off with great success. The nature of the series is quite simple. 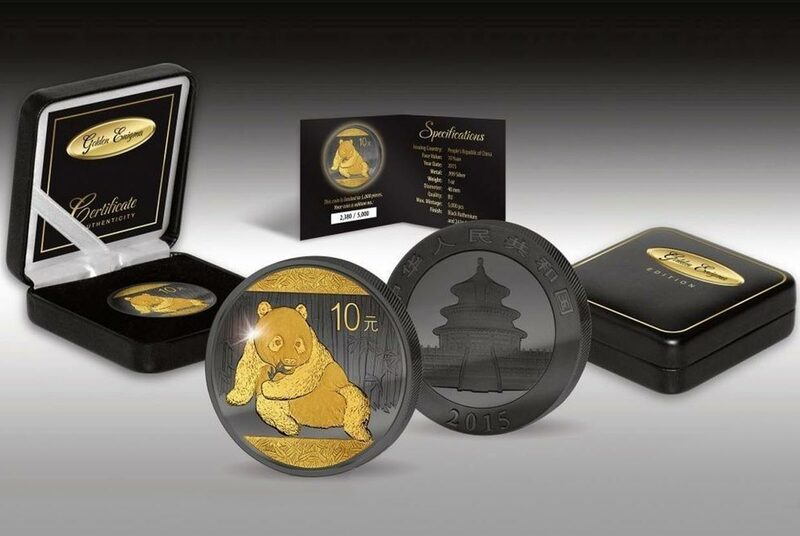 Take a silver bullion coin, plate it all over with the black-coloured element Ruthenium, and then selectively plate parts of the reverse side design, usually the relief parts, with gold. Ruthenium (Ru44) is an element residing in the platinum group of the periodic table. Like gold it’s a relatively inert metal, not reacting with most other elements and not tarnishing unless subject to high temperatures. It’s known as a transition metal and very rare, with annual production under 20 tonnes. It’s only the 74th most abundant element in the earths crust and generally found in the Ural Mountains, and in North and South America, with only minor deposits elsewhere. 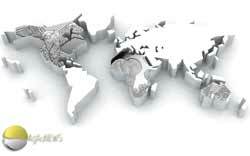 The six platinum-group metals are ruthenium, rhodium, the semi-precious metal palladium, the super-dense osmium, platinum, and iridium, the element present in the K-T boundary, a geological event linked to the extinction of the dinosaurs. All of these coins have appeared over the last year or so with the Eagle the first to debut and the Maple the latest. 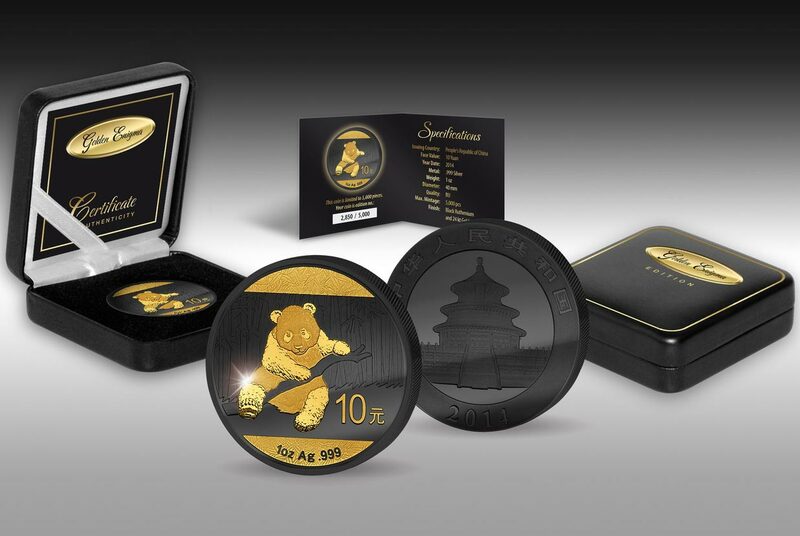 We’ve yet to confirm that the Taku coins are indeed actual Golden Enigma coins and we suspect they may be copycats, but they are designed and packaged very similarly so collectors may still find them of interest, especially with a mintage of just 200. We were tempted to include the new versions starting to appear, but they’re definitely not genuine members of this series and to be as diplomatic as possible, an acquired taste. Known as the Burning series, they look very similar to these except have had added a very bright and prominent set of flames around the gilding. Personally we’re not fans, but given some very steep appreciation, especially of the Maple version, we’re in a minority, although from comments on forums they’re definitely coins you either love or hate. Prices are mostly under €100, although the 2014 American Eagle variant is now up to well over double that. One of the quintessential coin designs of the last few decades, the American Silver Eagle is the most numerous silver bullion coin on the planet , and also one with likely the fewest number of special variants. Outside of proof versions and different mintmarks, this fine piece of design has become a little boring simply through its sheer ubiquity. 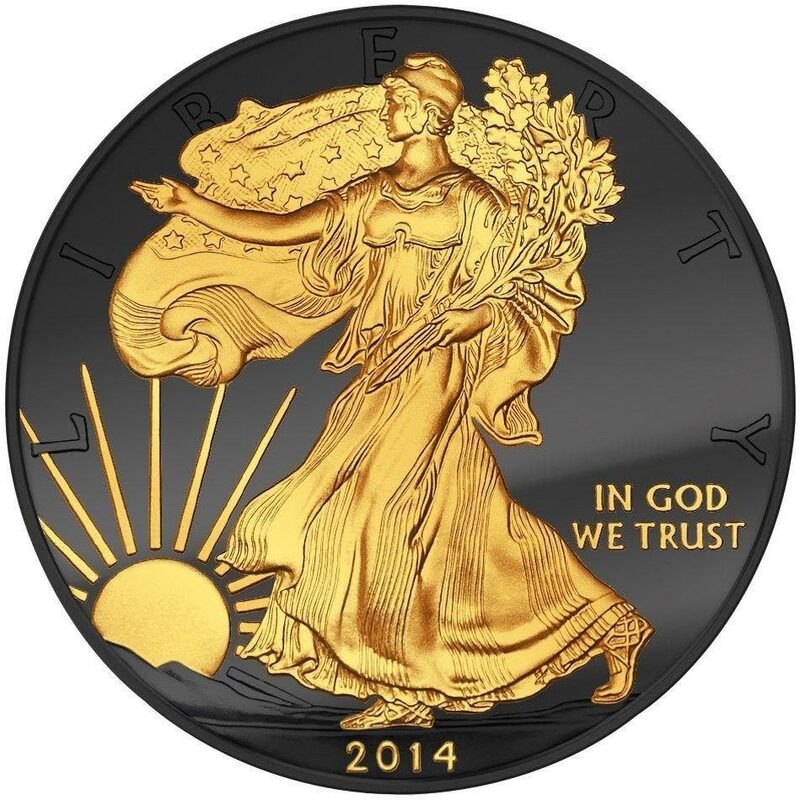 It may be because of this hunger for change that the famous Walking Liberty entrant in the Golden Enigma series has been the most popular version to date. It’s certainly a quite striking piece and a successful conversion, with even the Mercanti-designed eagle obverse surviving the plating with ruthenium with ease. 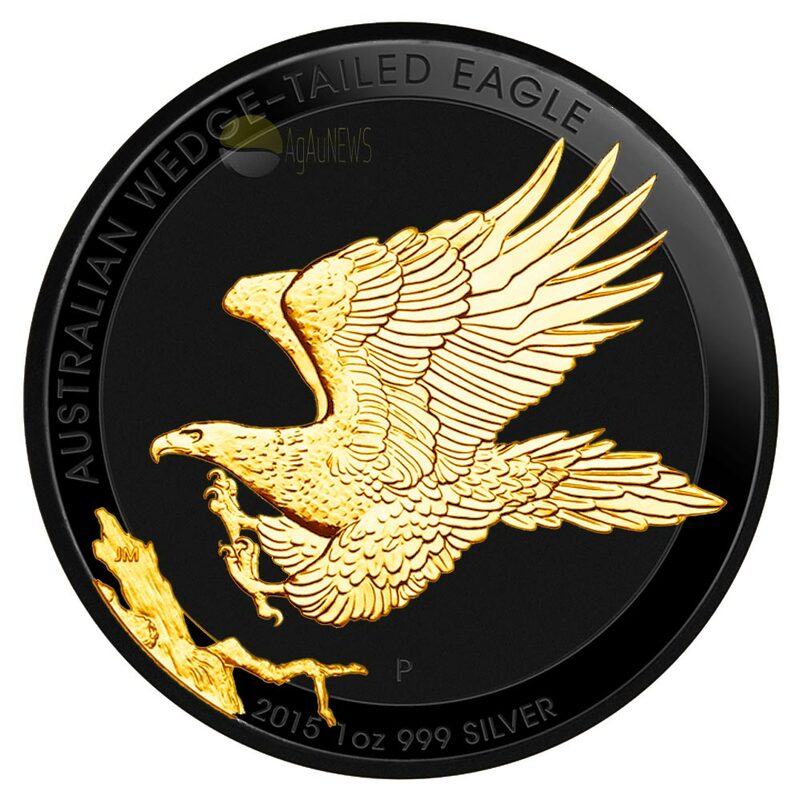 Given the lack of change in the Eagles design over the last couple of decades, we’re not sure the 2015 version of this coin will be of as much interest as it will look exactly the same as the 2014 and may water down some of the appreciation in value that coin has attracted. Much better to look elsewhere for new Golden Enigma releases in our view. 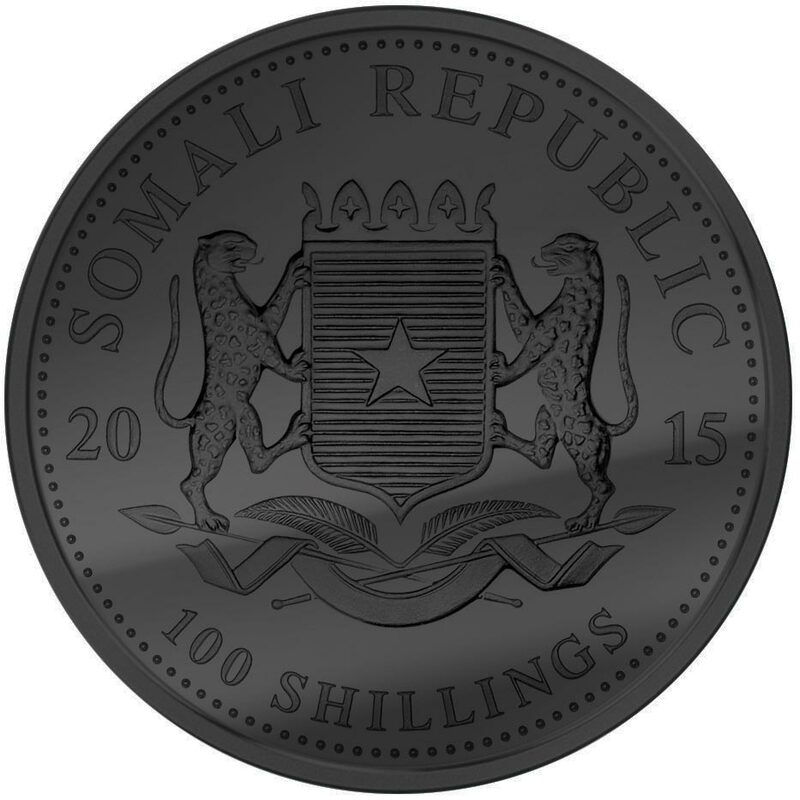 Struck by the German Bayer Mint, the Somali Elephant bullion coin is one that sports all new reverse side artwork every year and is thus a perfect candidate for inclusion in the Golden Enigma series. Generally considered one of the more attractive bullion coins, it’s a series that already attracts appreciation in its earlier issues but has tapered off as the mintage has risen. 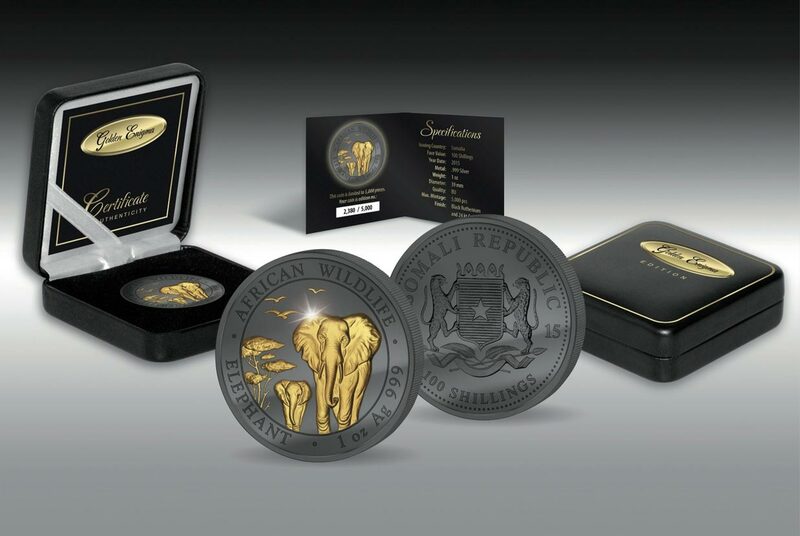 This is a decent way to get the later design and at least it won’t suffer from the milk-spotting that buyers are reporting as more common with the bullion coin itself. This would be a prime candidate for continuation in the Golden Enigma range with a 2016 release. 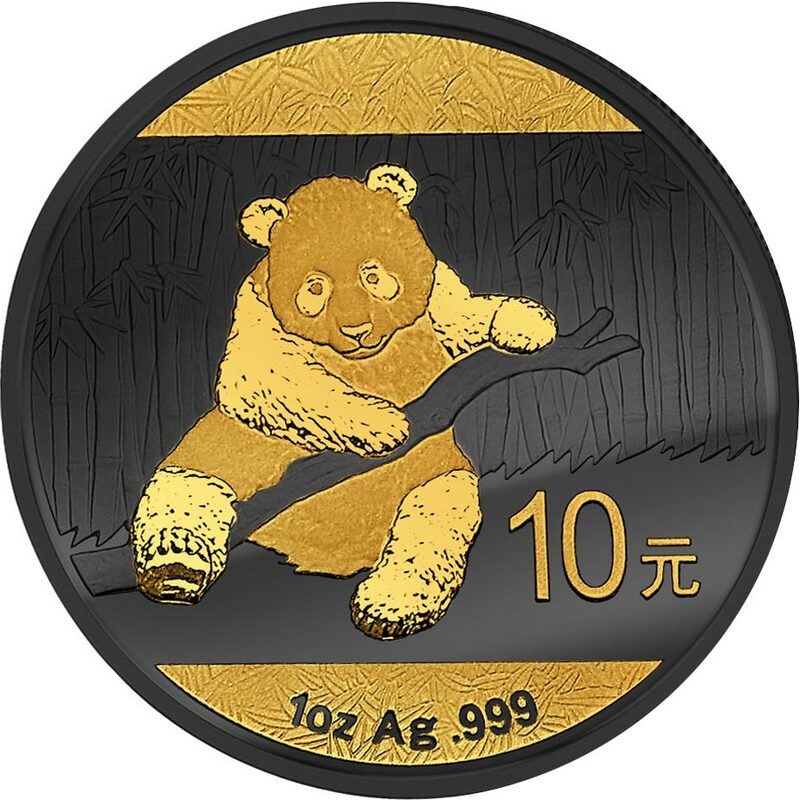 Another of the markets favourite silver bullion coins gets the Golden Enigma treatment, the Chinese Panda. 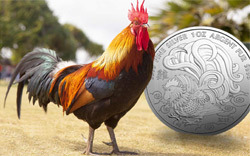 It’s another coin that has been subject to some serious mintage increases over the last few years, but it’s a fine looking series with an annually changing reverse side. Because of this it’s another perfect candidate for the GE treatment and indeed one that has already been revisited with a 2015 variant. 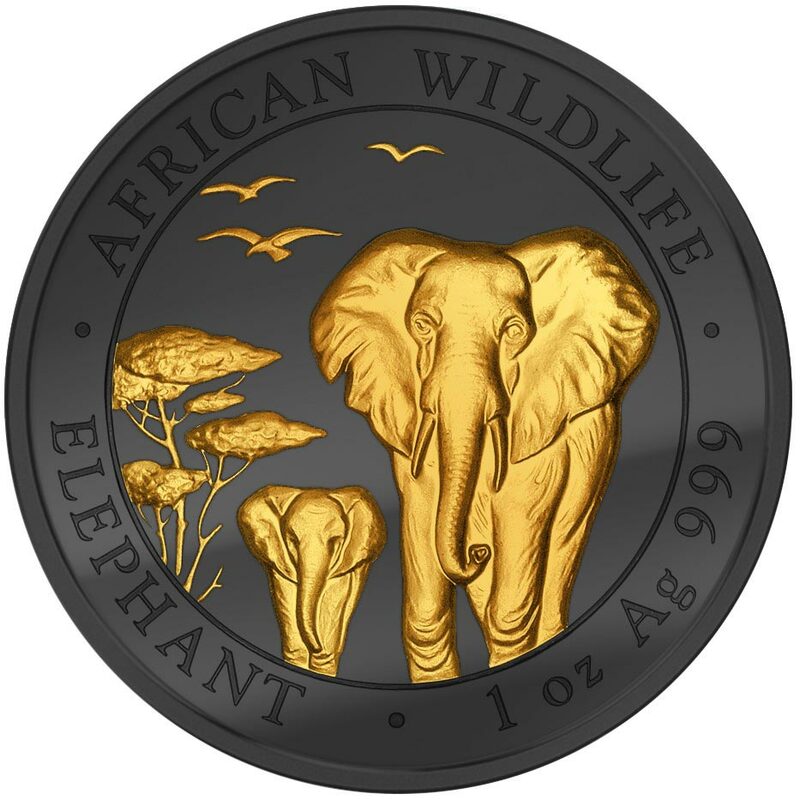 As for this specific designs merits, it’s perhaps one of the least successful of the coins released to date, the gilding in particular not having the same impact as the Elephant and especially the American Silver Eagle. 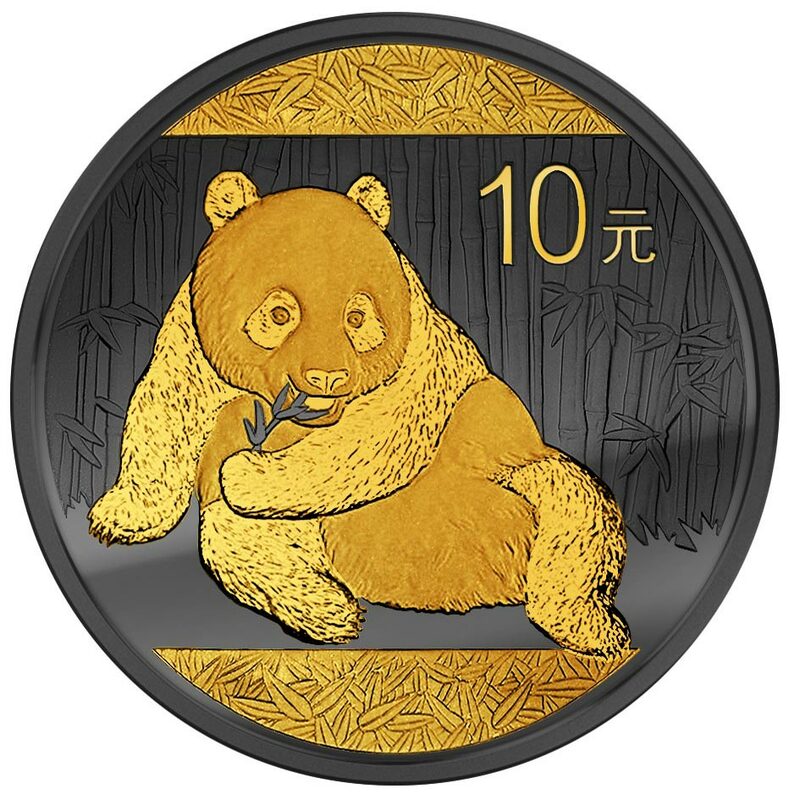 It doesn’t help that the original artwork was not considered one of the best, not helped by coming after the widely liked three-panda 2013 coin. 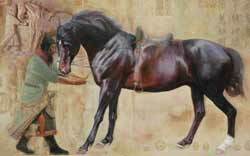 Aesthetics are a personal choice however, so it may well be your favourite. 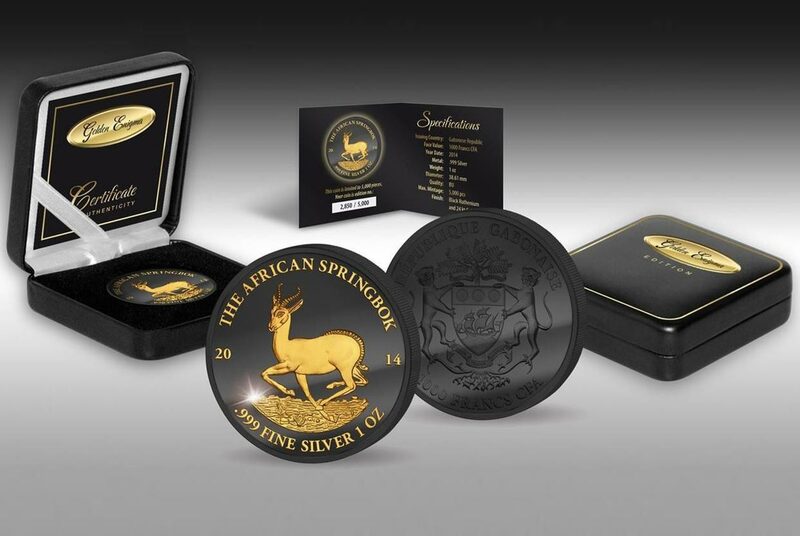 Also struck in Germany, the Gabon Springbok, also called the African Ounce, is unique in this range we believe in that it’s also a product of the Golden Enigma producers, AllCollect. 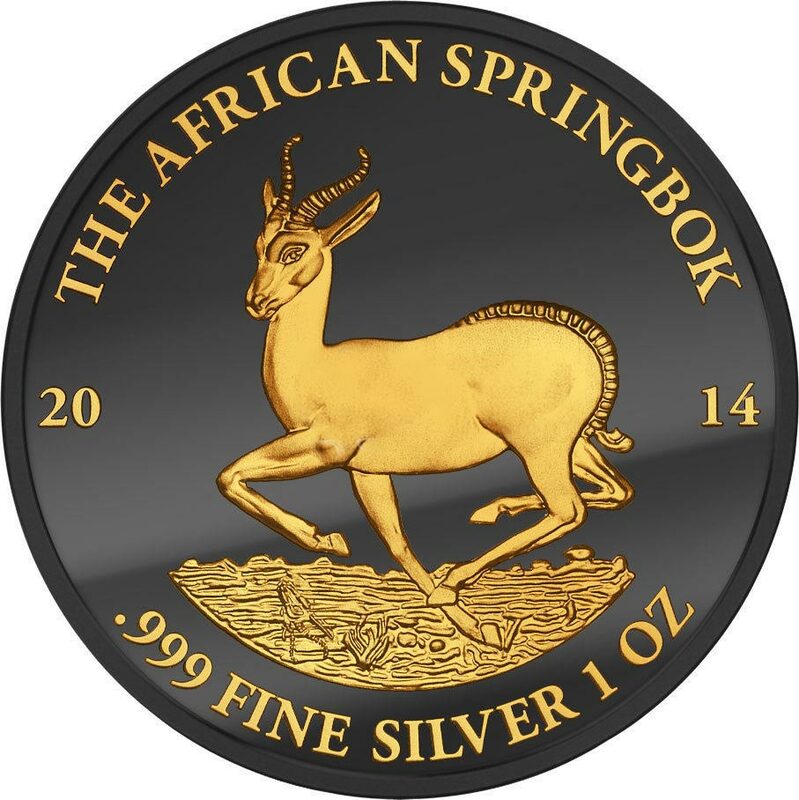 Not a widely known coin, the reverse side borrows the Springbok design from one of the worlds most iconic numismatics, the Krugerrand. If you’re going to borrow artwork, pick something popular we guess. 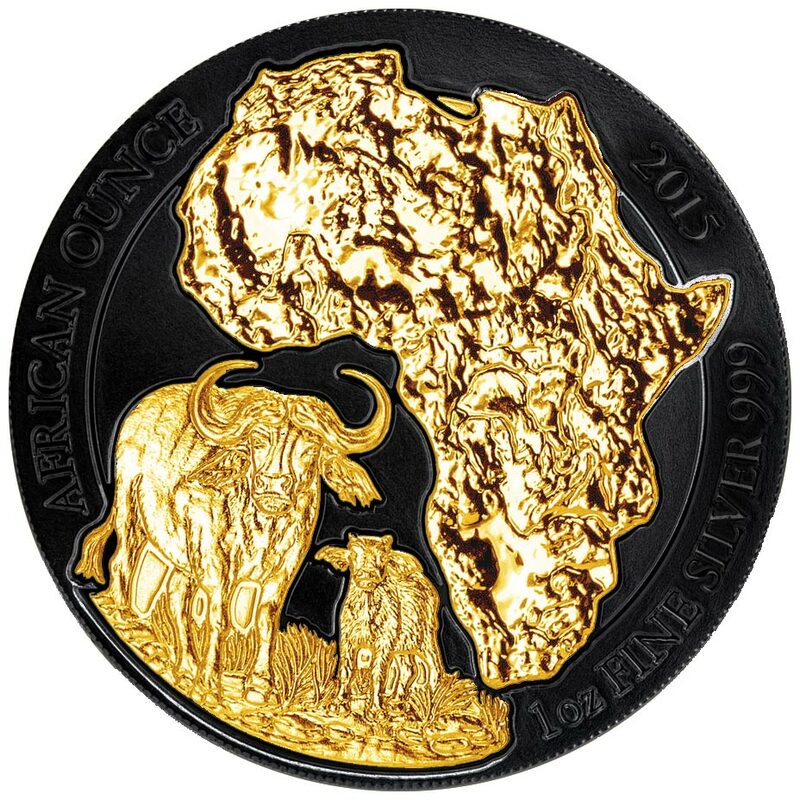 Yet another bullion coin whose design is pretty much fixed, it’s good to see one but we’d hardly clamour for an annual repeat of it. The Golden Enigma process suits the coin well, although perhaps a little too many of the text inscriptions have been gilded, the composition gilding being unnecessary in our view. 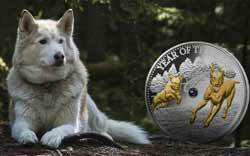 Overall, a worthy addition and one that will be many collectors only contact with this bullion coin. Pretty much identical to the 2014 Golden Enigma version, maybe showing a lack of willingness to experiment with the concept, there’s nothing to distinguish this over that one other than personal preference. 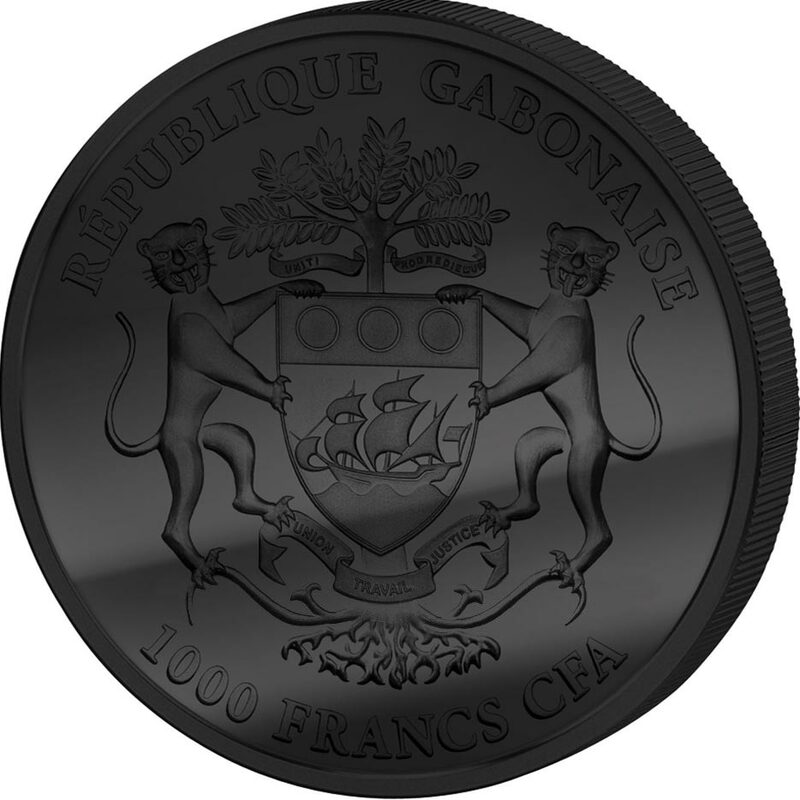 That’s more a reflection of the original bullion coin however, which was criticised for not being different enough to the year befores design. 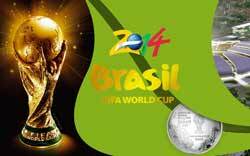 As we said, it doesn’t help that they both follow the collector favourite design on the 2013 release. 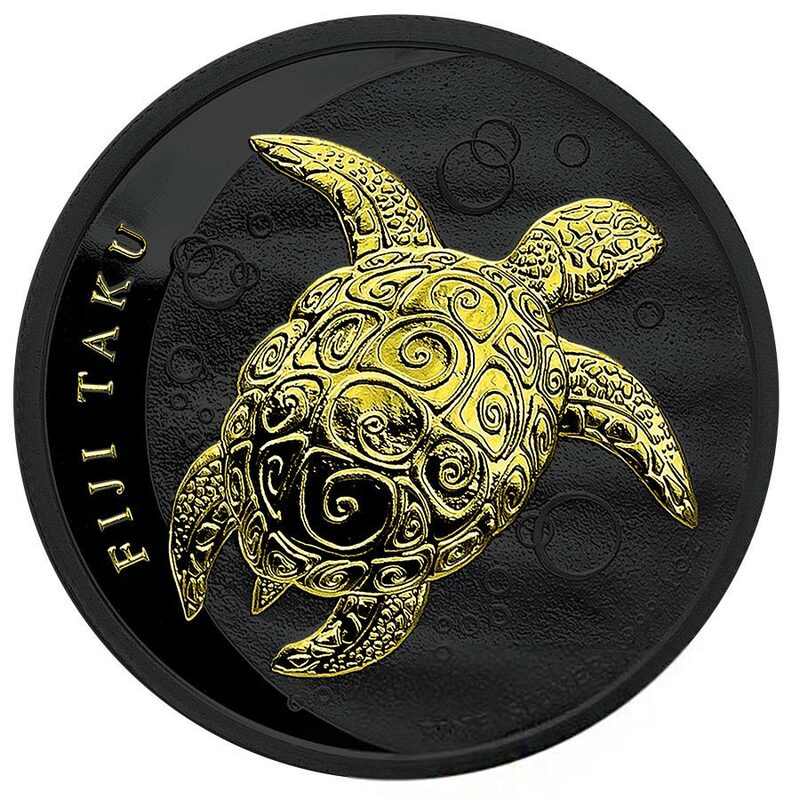 This coin is based on the New Zealand Mints primary bullion coin, the Fiji Taku. 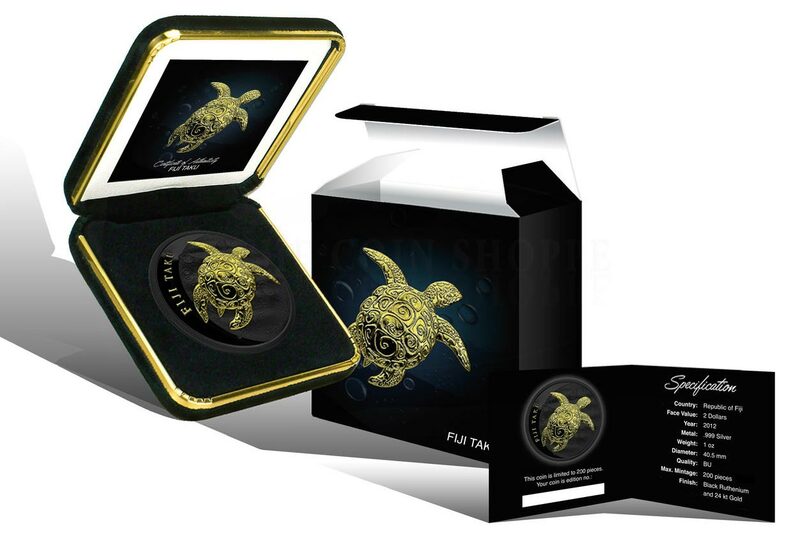 Available for the last few years, it was changed in 2014 to become the Niue Hawksbill Turtle after Fiji, as the result of disruptive internal politics, became harder to deal with and the economics of issuing the coin became economically unviable. Because of this, the two versions of this coin available as Golden Enigma variants are dated earlier than the others, are minted in smaller quantities, and sell for a higher price. The two versions have a mintage of just 200 pieces each and unusually have identical reverse side designs. 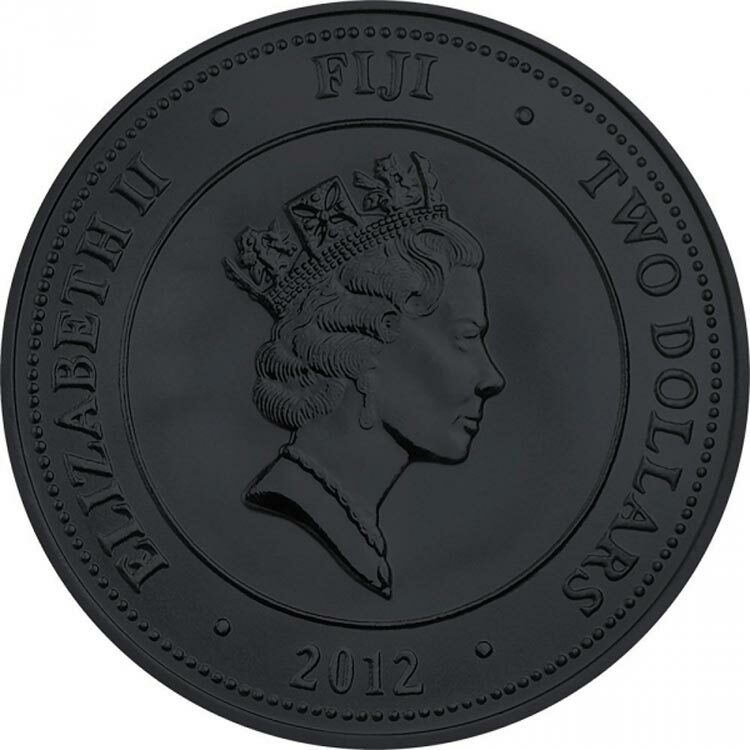 In this case it’s the obverse that changes, brought about by the expulsion of Fiji from the Commonwealth, meaning it’s currency could no longer carry an effigy of Queen Elizabeth II. 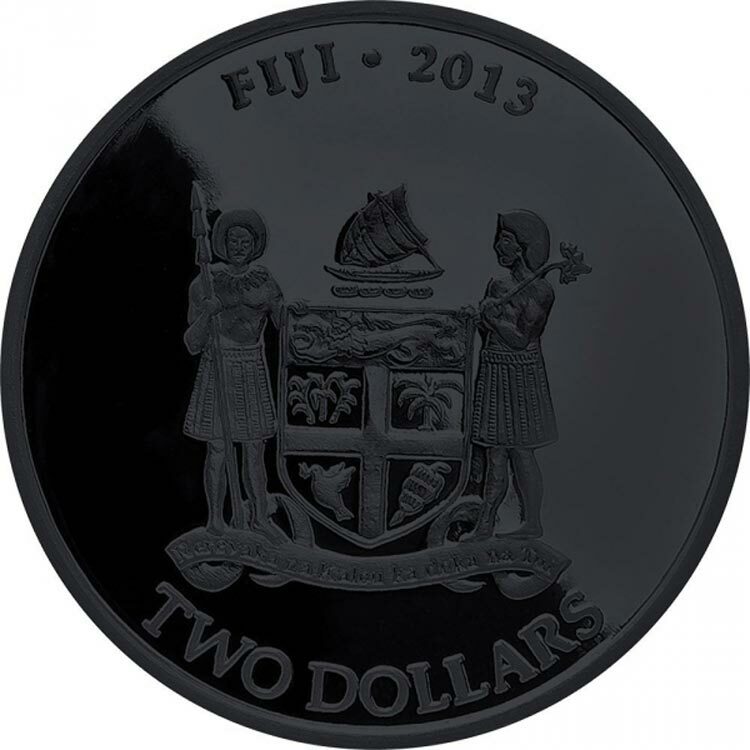 The 2012 obverse does indeed carry the Ralph Maklouf effigy of the Queen, but for 2013 it changed to the Fijiian emblem. Which you prefer is a matter of taste. The Queen does appear on an inordinate amount of coins, but does also provide an air of legitimacy that may bear fruit in the longer term. 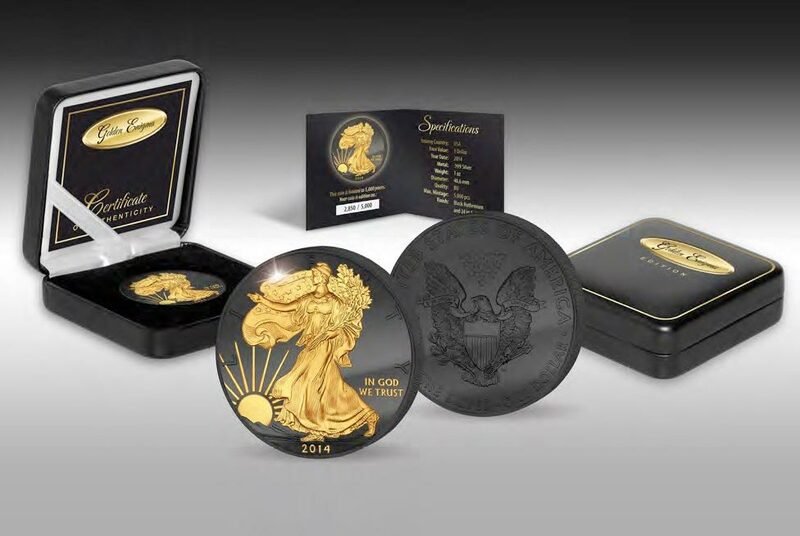 It’s always been a popular and fine design made even more so by the GE process, but the higher prices are a little off-putting for what is basically still a bullion coin with a third-party aftermarket application applied to it. 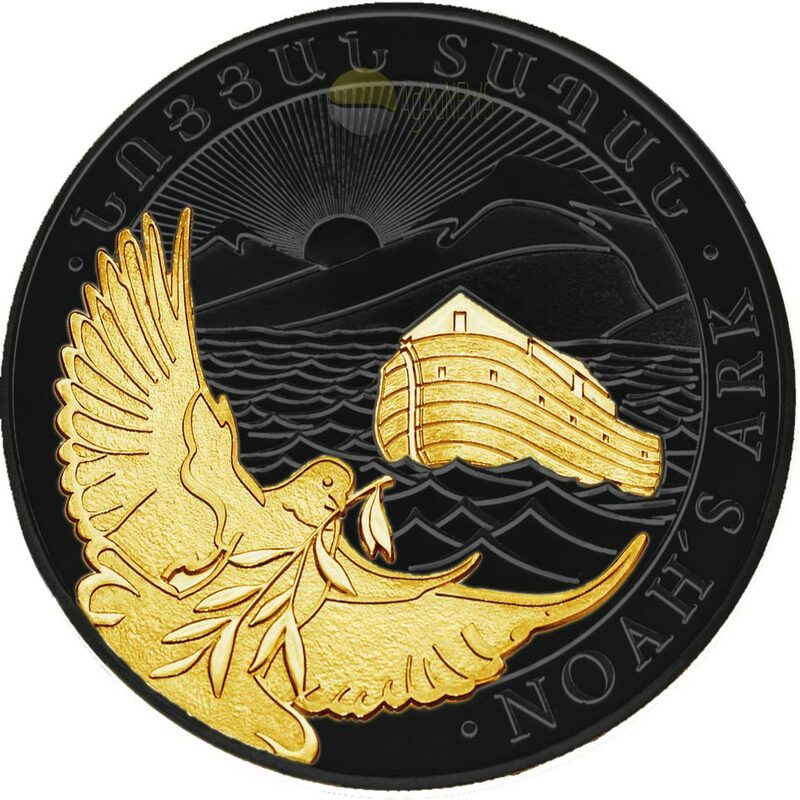 It’s possible that the Niue Hawksbill Turtle bullion coin may appear in the series in the future. 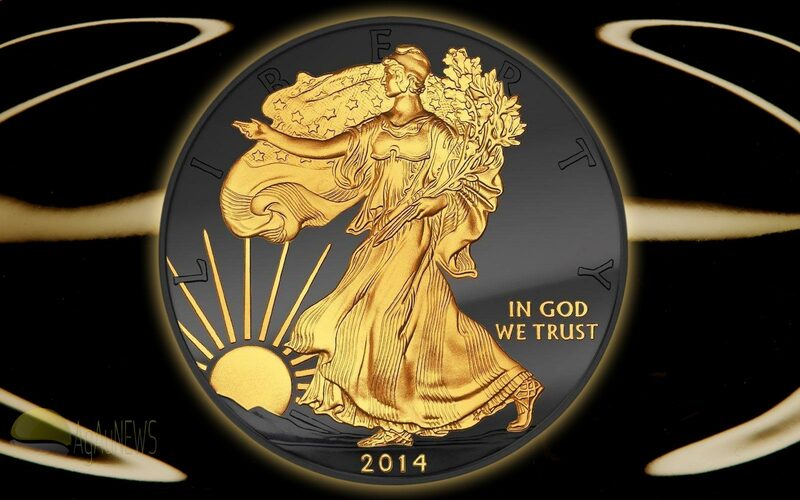 The latest coin to be released, this one is a version of a bullion coin almost as common as the American Silver Eagle. 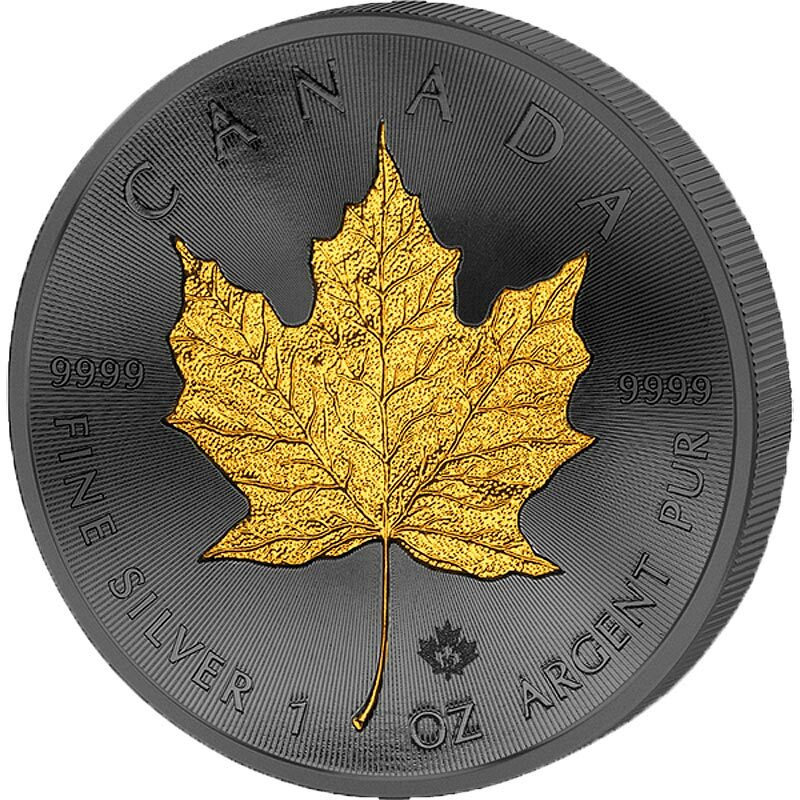 The Royal Canadian Mints SIlver Maple Leaf coin has recently had its design heavily tweaked, although remaining much the same in general appearance. The addition of radiating lines on both sides, ostensibly for security reasons, has momentarily raised interest in what has become a perennially unchanging, and thus increasingly boring coin. 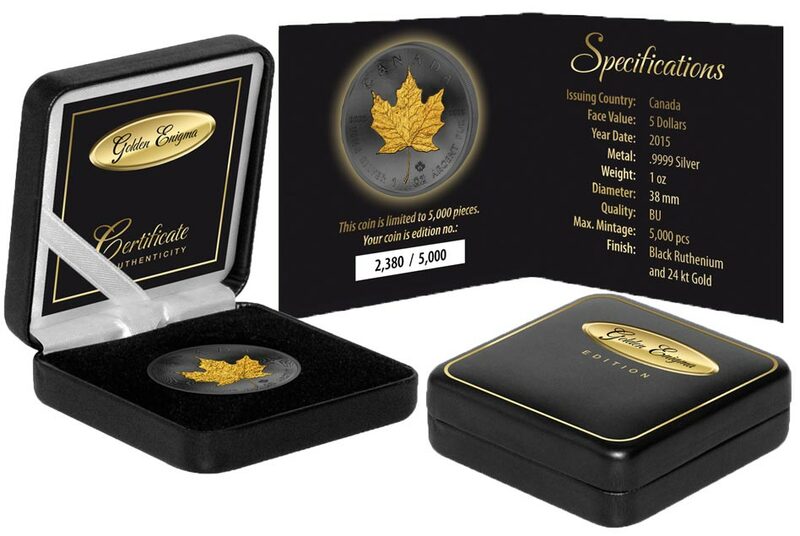 Fortunately, AllCollect have chosen the new one to raise to Golden Enigma status, but don’t expect any further changes in the near future as the Maple isn’t a coin known for them. There are numerous privy mark versions available, so one of those in any future release might be better, but this again is a decent looking conversion and will find many admirers. What next? Some mockups of potential future releases. Easy to obtain in sufficient numbers and with a design eminently attractive and suitable for the process, it’s one we’d like to see. Now the design of the Britannia is fixed on Philip Nathans artwork, it would inject some life back into it. 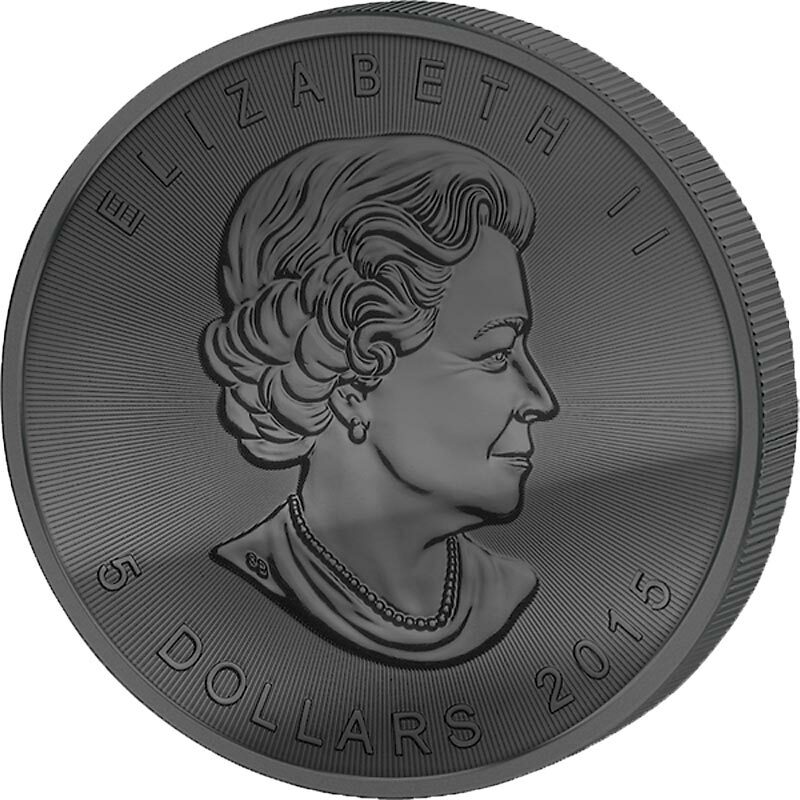 Another one that would probably convert well, the 2015 coin has what we believe is an unlimited mintage and is thus a more practical proposition than the 2014 coin with its tiny 50,000 unit availability. 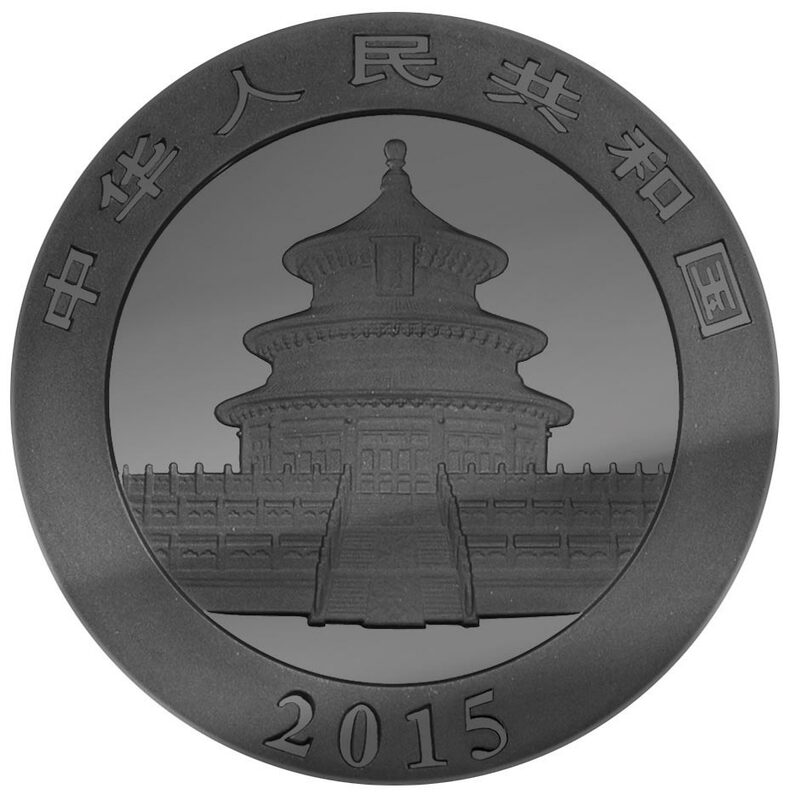 Another annually changing design, these also have quite a low mintage, although enough that a 5,000 run of coins shouldn’t be a problem. Older coins would be a problem from availability and price reasons, but new releases should be fine. 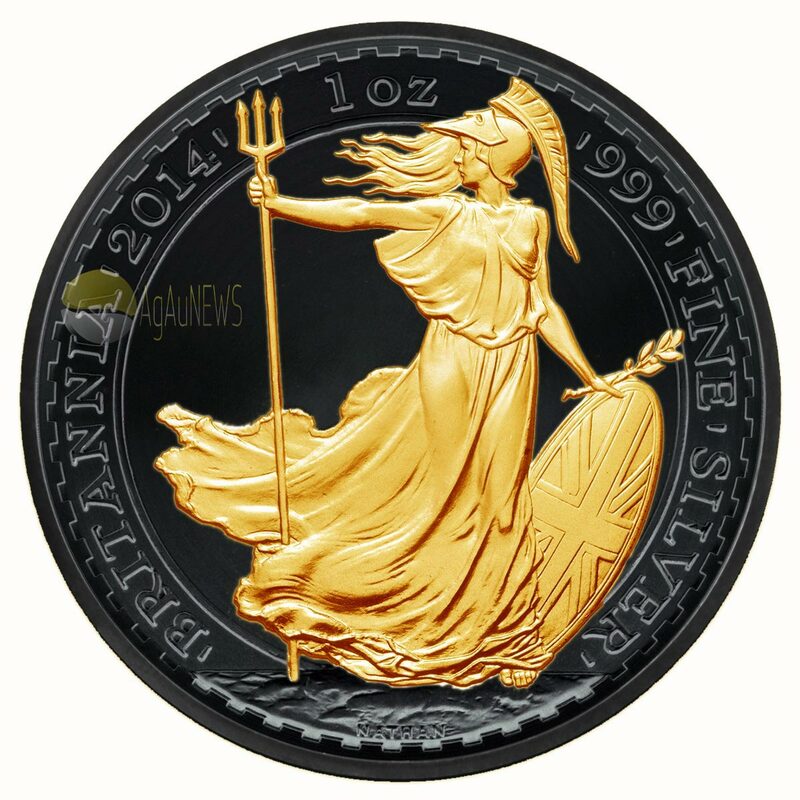 A really nice bullion coin in our view, it isn’t one that changes design every year, but as a one-off we think it would look cool. The art lends itself to several variations of gilded areas, especially around the sun, and our mockup is just a single interpretation.